The Baby Boomer generation is retiring in record numbers between now and 2030, requiring companies like yours to replace experienced talent and hard-to-find skills. New hires take time to train and acclimate to your company’s culture and procedures. Keller Schroeder’s Boomerang Retirement Program offers a unique way to fill that gap. The retiree can return to work for Keller Schroeder as a consultant. They would be assigned to work at your company, as requested, to train and mentor employees, work on special projects, or for staff augmentation. The retiree completely separates from your company’s payroll and benefits. Your company maintains unique, hard-to-find skills from talent who knows your culture and procedures. Use as much or as little of the retiree’s services as needed—for months at a time as staff augmentation or sporadically for project work on a part time or full time basis. No corporation to set up to become self-employed and no invoices to send. Receives a pay check as a Keller Schroeder employee for hours worked and receives a W-2 form for tax purposes. Receives challenging work assignments involving projects, handling of pressing problems, or training and mentoring junior employees. Flexible schedules, part time or full time hours and remote work when appropriate. Benefits including health insurance (if not of Medicare age) along with vision and dental insurance—even for those enrolled in Medicare. What is a Boomerang Retiree? An individual that retires from an organization but is willing to assist the organization for a temporary period of time as a consultant on a contractual basis. This program was designed with the ever-growing population of ‘Baby Boomers’ in mind. Baby Boomers were born from 1946 – 1964 and began to reach full retirement age in 2012. 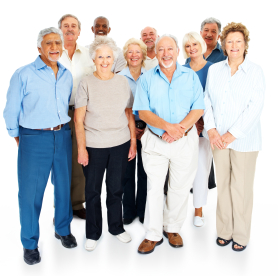 Recent statistics show 10,000 Baby Boomers are retiring every day and will continue through 2030. Starting in 2016, on average, five Baby Boomers will retire for every one new hire. Why would a retiree want to go back to work? Often, leaving a satisfying job cold-turkey for retirement can be an abrupt jolt to employees accustomed to feeling purposeful, earning money, and enjoying relationships with their colleagues. The Boomerang Retirement Program allows them to negotiate a work schedule that affords them the benefits of both continuing to work and retirement simultaneously. For your business, it is extremely beneficial to have experienced hands train junior employees or new hires and pass along institutional wisdom, company processes, and project insights with fewer strings attached. How does Keller Schroeder’s Boomerang Retirement Program work? The retiree becomes a Keller Schroeder employee and is assigned to work at the former employer’s company as a consultant full time or part time, as needed, when they are available. Managers simply contact Keller Schroeder and request the services of the former employee. The retiree can also contact Keller Schroeder about employment if they know their former employer will be needing their services or if they desire to provide services for our other clients when an opportunity becomes available.